Fairy Land Ribbon - Authentic vintage 1960's embroidered insertion ribbon. 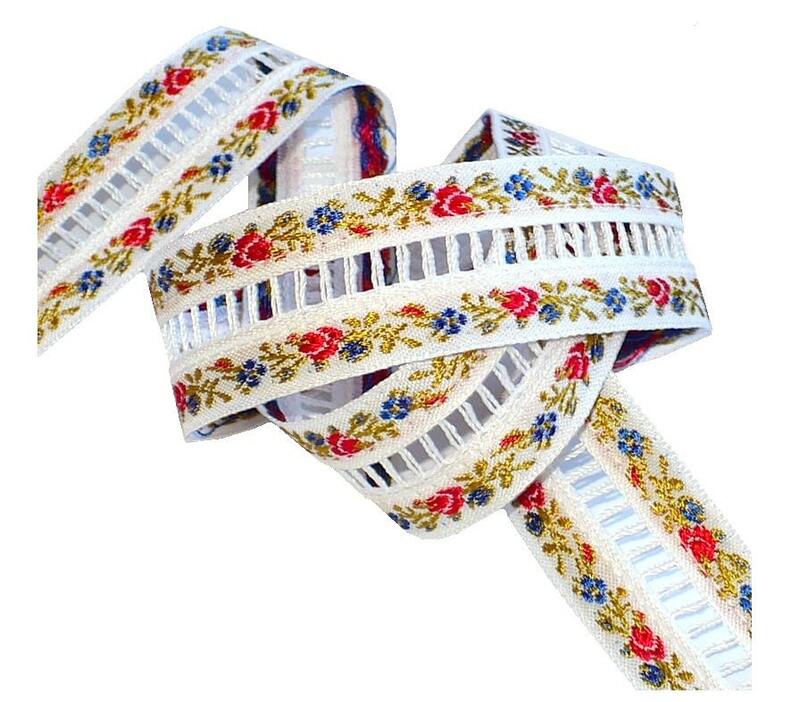 Charming white ribbon has embroidered dainty red and blue flower blossoms on dainty green vines. Center ready to receive an insertion ribbon. Vintage new old store stock. Cut from original spool. Rayon.